What is a Talkbox and why building one? 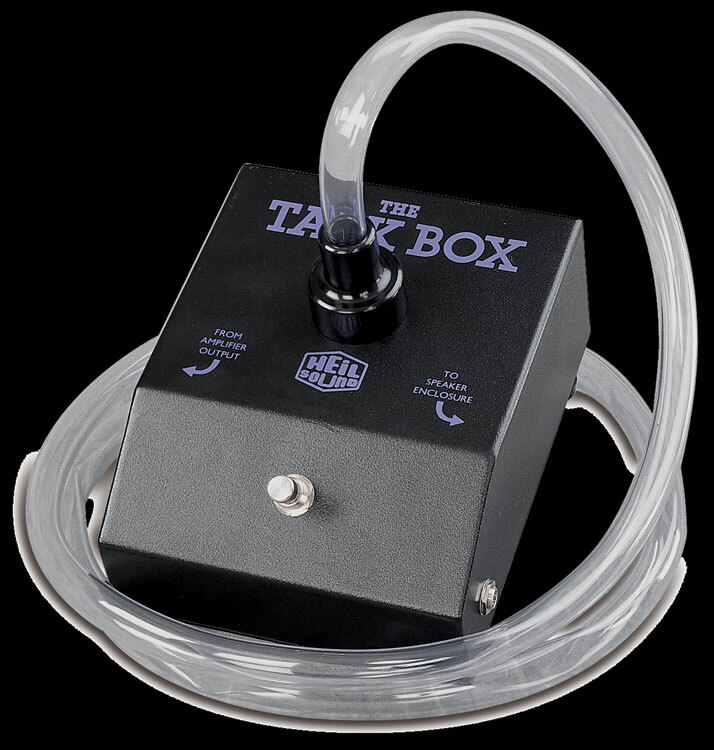 A Talkbox is a musical instrument injecting waves (notes) produced by a synthesizer, directly in the mouth via a flexible tube. 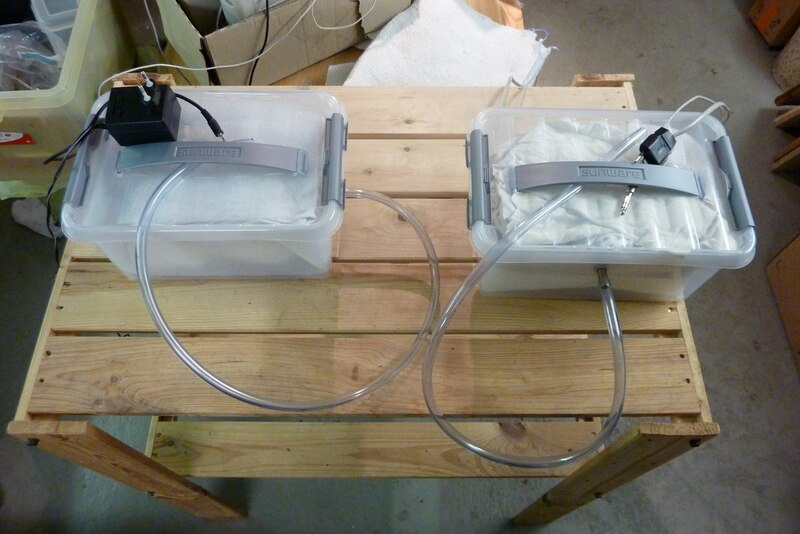 The idea is to replace the vocal cords’ function but keeping the modulation by moving the jaw. The most surprising thing is that you do not have to breath to produce understandable sentences. It is the classic method, one can easily find tutorials if it on internet (see video in the end of this article). Indeed, it is so easy that even not being a tech expert you would need max 1 hour to build a good Talkbox. 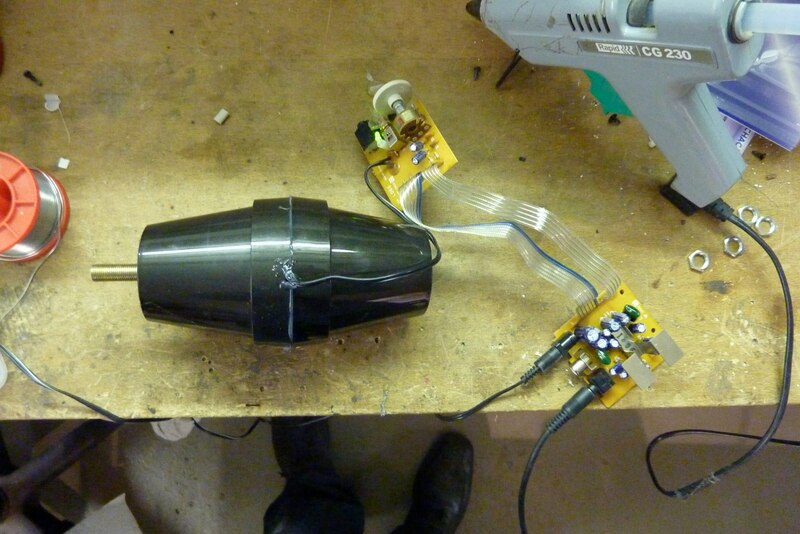 Covering the sound exist of the speaker with a plastic plate hold by 4 screws. Making a hole in the plastic plate to place to tube and isolating the compound with hot glue. Again fixing with hot glue the tube directly against the hole. Put some old fabric around the speaker and close the box. Why make things simple when they can be complicated? Building the chamber one can eventually choose the dimension of the box, the quality of the membrane, the amplifier, etc. After looking a bit what’s available in stores I fund the perfect format for the chamber: the double flowerpot! The first flowerpot canalizes the wave forward to the tube. 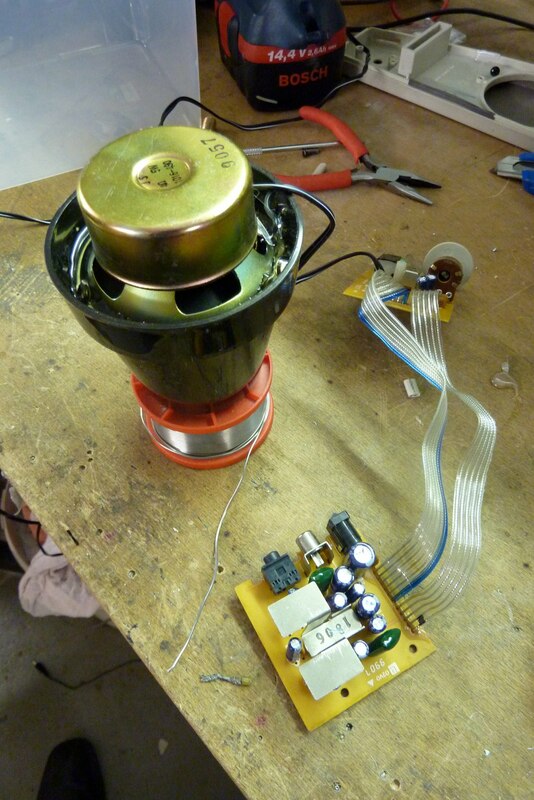 The speaker is glued with hot glue inside the pot. 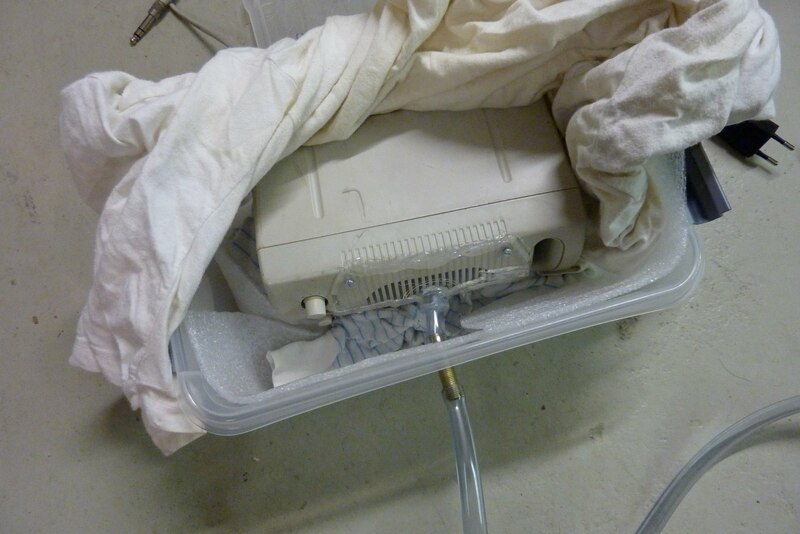 The second flowerpot is used as a rear resonance chamber. It is not drilled what gives the advantage of being more compact like “closed speaker” are compared to “bass reflex” ones. The metallic tube makes the link to the outside world and actually could be linked to the chamber via a flexible tube for better isolation. 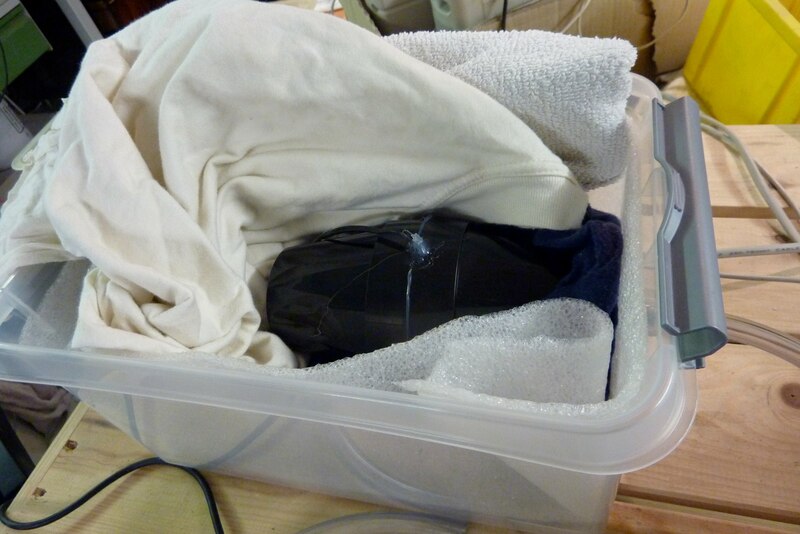 Again some old fabric around the chamber and the box is ready.